While he is physically gone, his spirit and his influence continue on. Thoughts to all of South Africa as they mourn the loss of their spiritual leader. 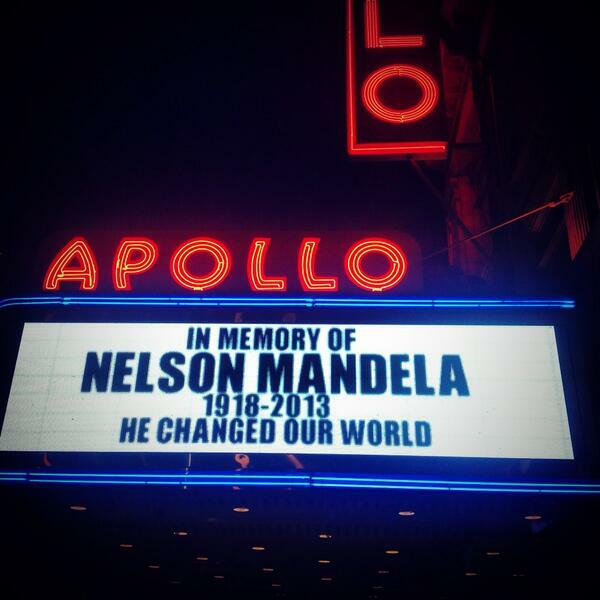 As the hours roll by, I have been able to watch much coverage of the tributes to Nelson Mandela and think about what he meant to so many, including me. I went to college at a time when it seemed everyone was conservative. The one issue that we were able to champion was divesting from companies that invested in South Africa. I had forgotten about the sit-ins and the protests that I had participated in. I also remember the day he was freed, being thrilled to know he was free at last. My Dad worked in Civil Rights for many years and along with Gandhi and Dr. King, Mandela was and remains a hero in my home now and when growing up. 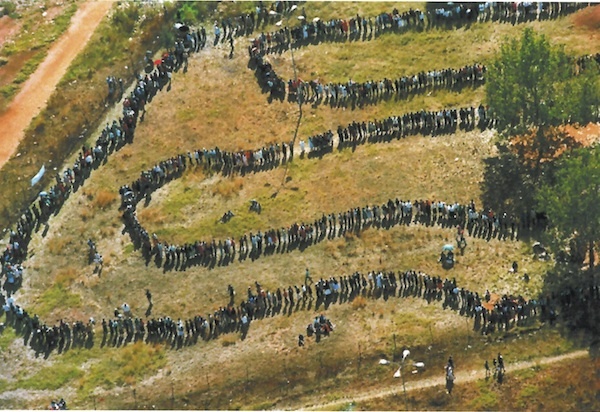 Years ago when I worked at the Associated Press (AP) office in Milan, I was given a copy of this amazing photograph of “long lines of people outside the polling station in the township of Soweto on April 27, 1994.” The photo was taken by Denis Farrell from the AP. I have never been to South Africa but I do have one person from South Africa that I consider a friend, Ntsiki Biyela, a wonderful female winemaker. I’m thinking about her today and all of the other South Africans who have lost a spiritual father.